Barack Obama’s disapproval rating reached an all-time high today at 55% . His approval rating is at a generous 38% . 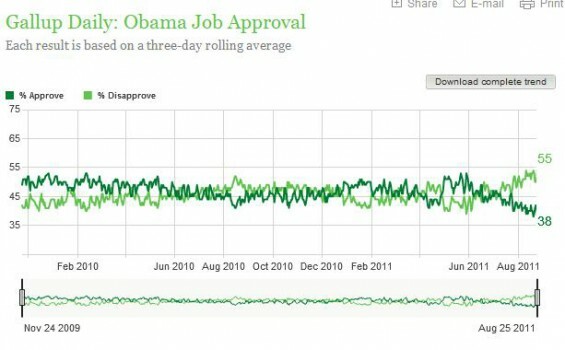 Gallup tracks daily the percentage of Americans who approve or disapprove of the job Barack Obama is doing as president. Results are based on telephone interviews with approximately 1,500 national adults; Margin of error is ±3 percentage points.